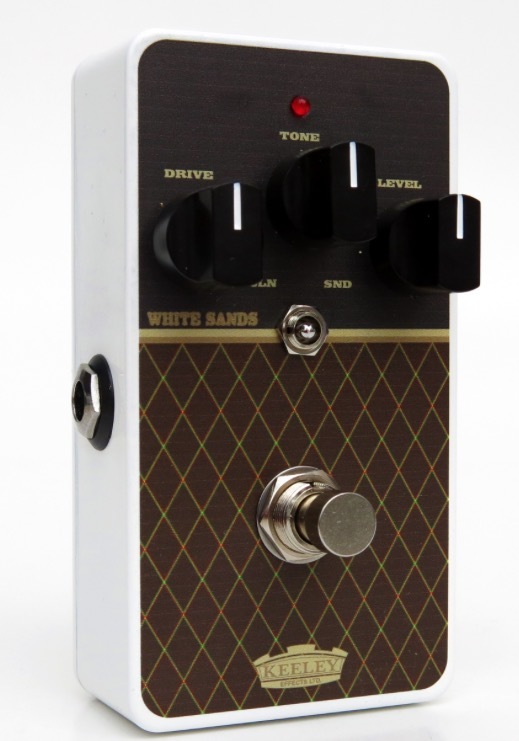 White Sands Luxe Drive Ltd Edition, Overdrive pedal from Keeley Electronics. Robert Keeley has launched a new limited edition of its White Sands low gain overdrive pedal for guitar with finish inspired by the Vox AC amps. 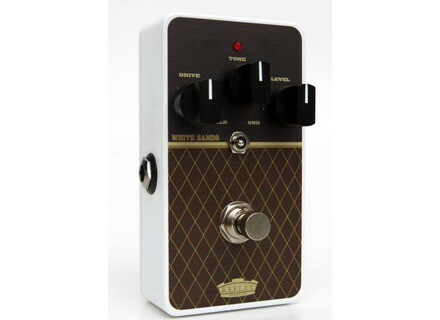 The Keeley White Sands Luxe Drive Ltd Edition employs the original asymmetrical clipping circuit (it distorts half of the signal more than the other) that allows for simulating some of the characteristics of tube amps. The pedal is equipped with three knobs to adjust the drive, level and tone, the latter is quite unusual for it allows for controlling the high-end response and does not boost the midrange. A two-way switch (Clean and Sandy) can also add some dirt to the effect. Last, the White Sands uses a JFET input buffer. Only 40 White Sands Luxe Drive Ltd Edition were built, there are sill a dozen left at robertkeeley.com at the time we post this news. Price is $199. Maxon OD-808 Killswitch Engage Signature Adam and Joel from the band Killswitch Engage asked Maxon to tweak its OD-808 overdrive pedal.